Oh I love them Astri. They are so colorful and fun! I'll for sure make some of them :) thanks for the inspiration! Eh bien, avec tout cela, tout va être bien propre dans la maison !!! Such beautiful colours. Thanks for sharing the rainbow. Take care. I don't think acrylic would be good for dishcloths; however, it might work for a hot pad. 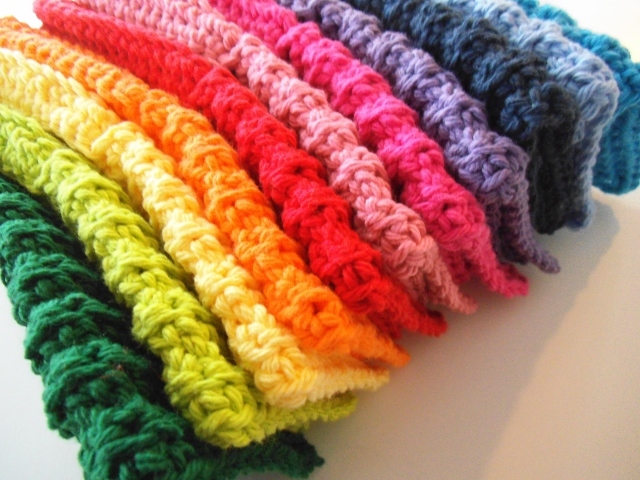 Perhaps you could make two and then whip stitch or crochet them together for extra heat resistance. Mine are 100% cotton. I have a big acrylic stash too, but it will probably be used primarily for afghans. I know this is a couple yrs old but wanted to point out, the cotton is better for a hot pad than the acrylic would be... acrylic melts! 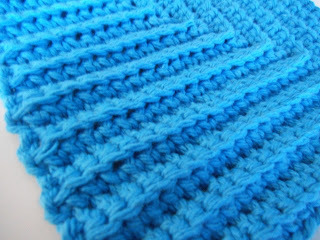 The acrylic is great for making scrubbies, etc though, just not so good for wiping up wet messes as it doesn't absorb. 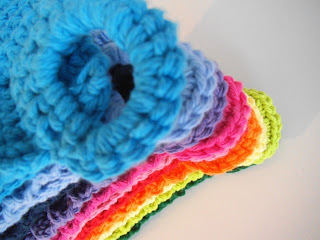 Love this pattern and have been making them as big as they'll get with one ball of yarn. 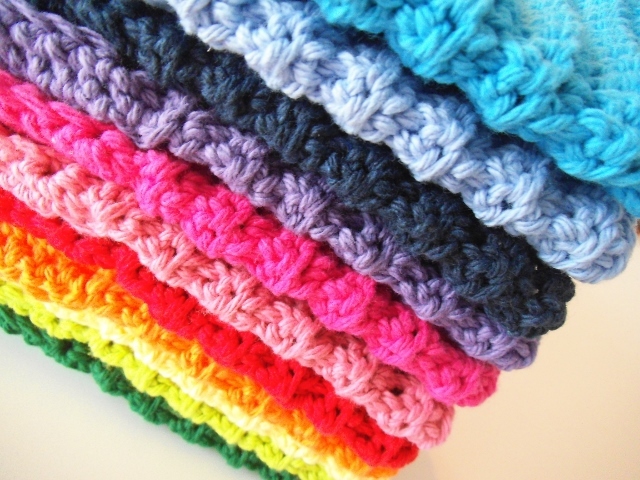 Multi-functional at that point as they can still be wash/dish cloths but also hot pads, placemats and hand towels. Thank you so much! 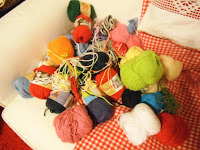 How much yarn is needed for each cloth? How many yards pr 50 gr is it on the yarn you use? Hi IH! Thank you so much for your comment. I used a 70.9 g skein, 120 yards and it made at least two. Hope this helps. Wow Astri - Love the rainbow of colour - fantastic and fast work! And the colors are so bright and happy! They are just beautiful and I just love the rainbow of colors. 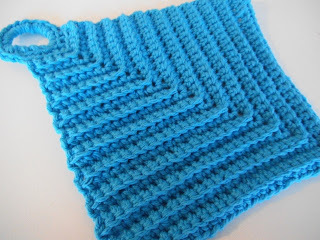 I have used that pattern many times over the years and is easy to use. 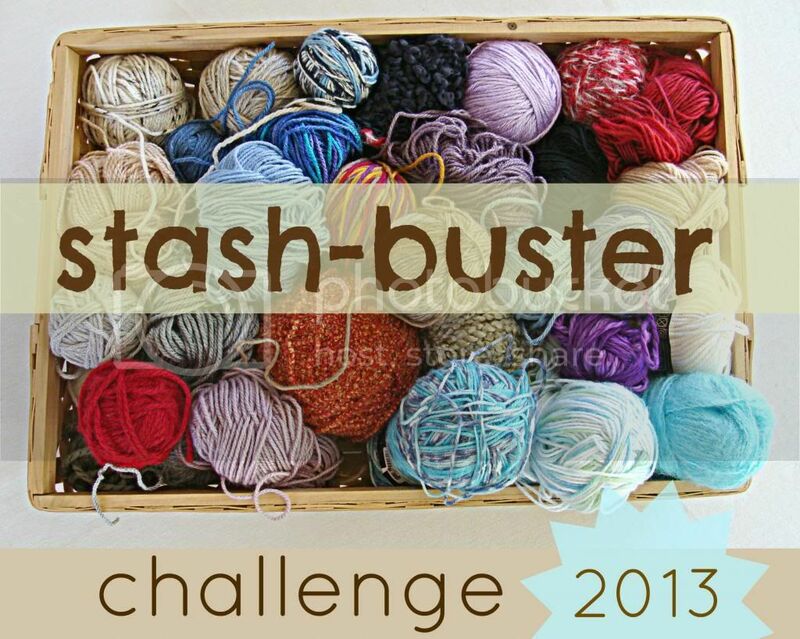 A really good way for a stash busting project. Thanks for sharing. I added hanging loops to my last batch of scrubbies and love being able to hang the current one from the faucet handle. so beautiful just to look at! I looked at away and then all of sudden all these comments! Holy cow -thank you all so much...once again: Who'da thunk it? You all make me feel so good. Happiness!!! Hei! Your Nynorsk is fine and your commet made me giggle. It helps me practice my Norwegian, although I did not understand the word "tvåger"?? A fine crochet day to you as well! Hi Britt, It always warms my heart to have a Norsk follower. I am so glad you found my blog. Looks like you are up to some fun as well. I will be following you too! 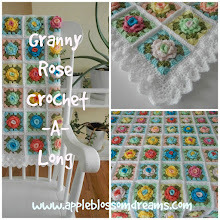 Welcome to Apple Blossom Dreams Lynne. Tangled Happy is a happy place! that´s exactly what i was looking for!!! 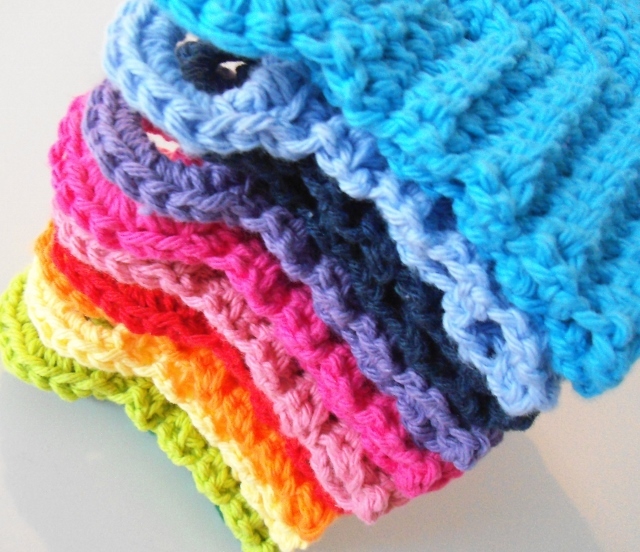 Thank you for sharing your pattern and I too love the built in germ fighter!! Those are so cute! I love the diagonal pattern, and I of course love the ring as well. 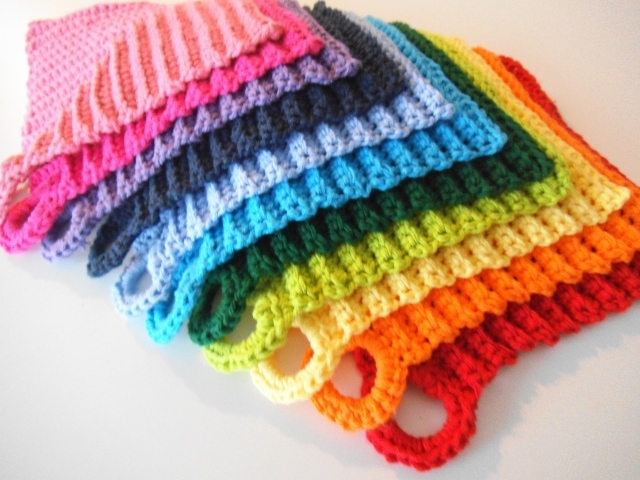 There are many dishcloths in my stash's future... I should try adding some rings on a few. More awesome comments! THANK YOU!!! Welcome new followers...I will be checking out your blogs, as well! 20 cm x 20 cm...I used a 5mm. Perhaps go out more rows? Good luck and thanks for stopping by! 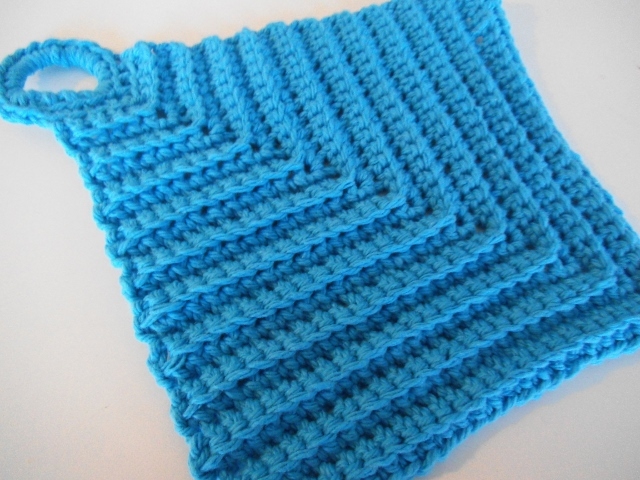 I have been looking for a dishcloth pattern that I really love, and this is it. I have made four of them and intend to do more. I love this blog too. Thank you Astri! just discovered your blog and I love it. I love how you added the circle hook to hang them too. Thank you for posting these festive patterns. 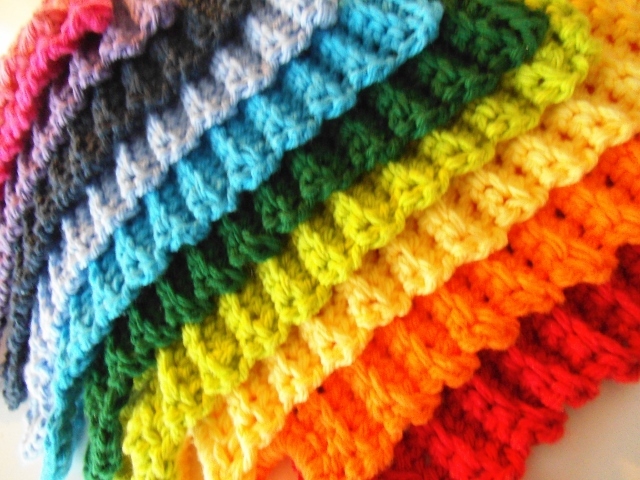 I recently learned to crochet. 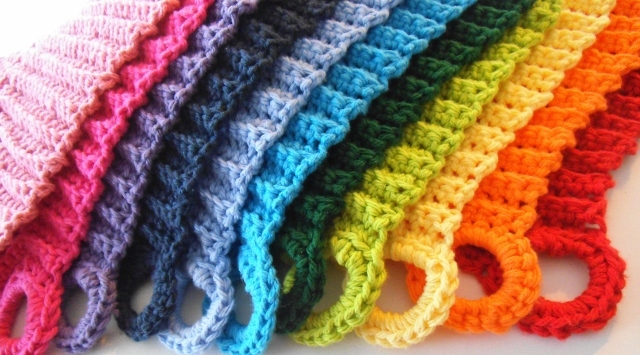 With this pattern is easy to follow and I fool people into thinking I've been crocheting for a long time. So cheerful! I was wondering how much yarn you used for each dishcloth? Thanks for sharing! Hello. Thank you for visiting. 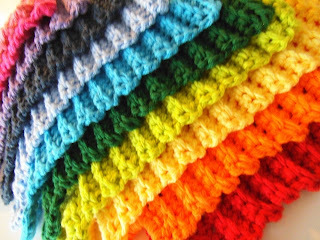 Gosh I'm not really sure - I suppose I got about two dishcloths from one skein. I'm sorry I'm not good at keeping track. I have a huge yarn stash but unfortunately a lot of the labels are missing. Is there an easy way to tell if a yarn is cotton or acrylic? I can't find the pattern. Would somone share. What makes it Germ Free? 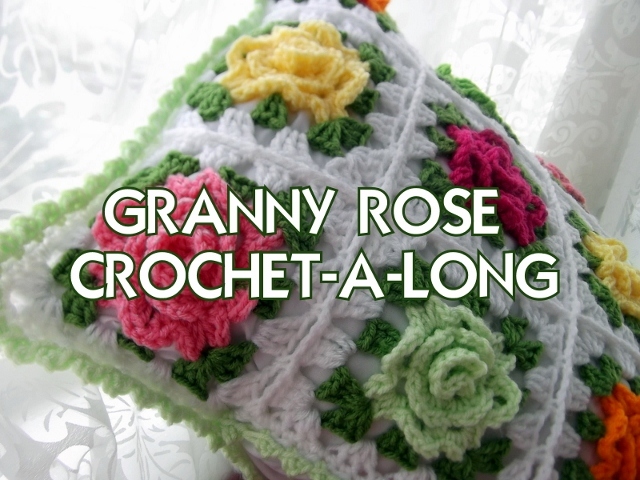 The link to purchase the pattern is in the post. 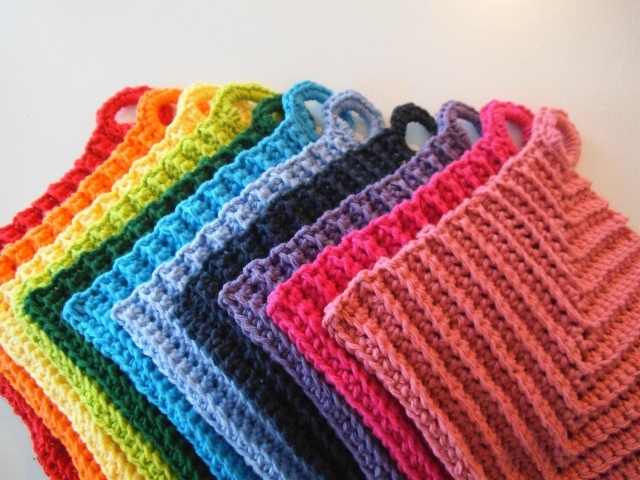 The dishcloths are germ resistant because they dry quicker since they can hang to air dry. 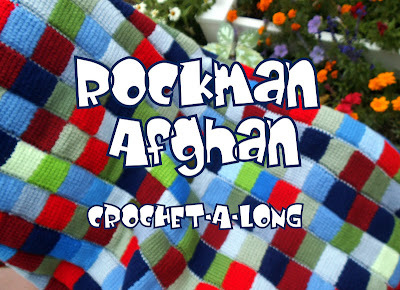 Would you have an English written version of this pattern you would email me? I love it!!!! would you please send me the pattern in English?